The Willamette Heritage Center’s Fall Speakers Series launches Saturday, October 8, 2011 with a presentation by Western Oregon University history professor, Dr. Max Geier. 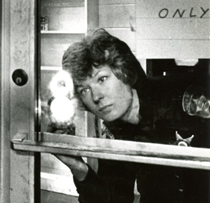 They Always Get their Man: Oregon State Police Seeking Real and Imagined Murders, 1943-1945 explores the early history of the Oregon State Police through two sensationalized murder investigations. In early 1943, Dr. Joseph Beeman, Forensic Pathologist for the OSP led two manhunts that resulted in two wartime executions in a state previously renowned for its early opposition to the death penalty. Both cases prompted frenzied petitions for clemency, raising questions about the likely innocence of the condemned. The cases reopened concerns about the legitimacy of the death penalty, but solidified the reputation of the OSP as the standard for professional policing in Oregon. This opening lecture kick starts the series focused on a darker side of history. Lectures are Saturday afternoons from 3-4:30 pm. Admission is $5.00, $3.00 for members of the Willamette Heritage Center. 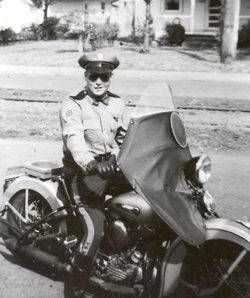 They Always Get Their Man: Oregon State Police Seeking Real and Imagined Murderers, 1943-1945, Dr. Max Geier, WOU. Presentations by WOU History Masters’ Students.